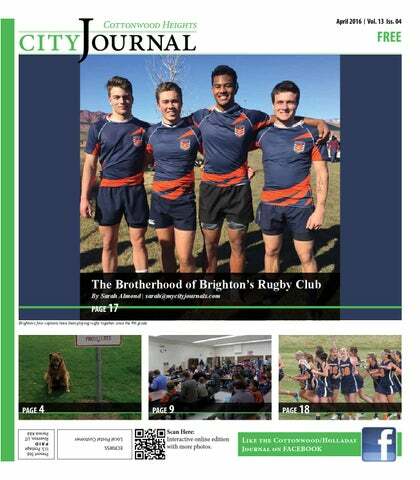 Brighton’s four captains have been playing rugby together since the 9th grade. page 9 Scan Here: Interactive online edition with more photos. 2197 Fort Union Boulevard, Salt Lake City 84121 – www.slcolibrary.org – (801) 943-4636 Grilled Cheese and Soup Saturday, April 9 at 2:00 p.m. Adults. April is National Grilled Cheese Month, and you will learn a few twists on the classics including Roasted Red Pepper & Tomato Soup! Whitmore Senior Advisory Board Monday, April 11 at 2:00 p.m. Adults. Would you like to help the Whitmore Library improve services for seniors? Join the Senior Advisory Board! Newcomers are always welcome. Teen Anime Club Thursday, April 14 at 6:45 p.m. Teens. Love anime? Love to draw? Come meet new friends, try your hand at our contests, and more. Cosplay is always welcome. No registration required. Lego Club Friday, April 15 at 4:00 p.m. Ages 10 and up. Join us to see what you can create with Legos. We provide the Legos, you provide the creativity! Whitmore Nonfiction Book Club Wednesday, April 20 at 7:00 p.m. Adults. Join us monthly to discuss new and noteworthy nonfiction books. This month’s book is Once Upon a Time in Russia by Ben Mezrich. New members are always welcome. Poetry Kit Crafts Thursday, April 21 at 4:00 p.m. Teens. It’s Poetry Month and we’re making our own magnetic poetry kits. Learn how to turn old magazines and tins into poetic treasures. Great for gifts or for yourself. No registration required. Percy Jackson Scavenger Hunt Saturday, April 23 at 3:00 p.m. Teens. Are you feeling lucky? Love Percy Jackson? Come join us for a fun-filled scavenger quest filled with monsters, mischievous gods, and more. Prizes for those who finish the scavenger quest. No registration required. Great Reads for Girls: Mother/Daughter Book Club Tuesday, April 26 at 7:00 p.m. Ages 6-8 years with caring adult: Join us for lively discussions, activities, friendship and fun! This month’s book is Trouble at Trident Academy by Debbie Dadey. Please register in advance at the library or by calling 801-944-7539. Wednesday, April 27 at 7:00 p.m. Ages 8-12 with caring adult: Join us for lively discussions, activities, friendship and fun! This month’s book is Tail of Emily Windsnap by Liz Kessler. Please register in advance at the library or by calling 801-944-7539. Glow in the Dark Party for Teens Thursday, April 28 at 6:30 p.m. Teens. Glow-in-the-dark bowling, science experiments, games, activities, and more. This is one Glow-in-the-Dark Party you won’t want to miss. No registration required. Wear colors that are light if you want to glow. Ongoing Programs with No Registration Move Storytime Mondays at 10:30 a.m. (April 4, 11, 18 and 25) All ages: Join us for a movin’ and groovin’ storytime of active movement with a storybreak! Zumba Kids Tuesdays at 4:30 p.m. (April 5, 12, 19, and 26) All ages: Everyone is welcome to Zumba fitness classes designed especially for kids! Storyime for Everyone Wednesdays at 10:30 a.m. (April 6, 13, 20 and 27) All ages: It’s a drop-in storytime for all ages! Join us for stories and FUN! Charm, beauty and location inside a gated luxury community. 12 acre lot with east facing backyard. Mt. Olympus views. Walnut hardwood floors. Vaulted ceilings. Gourmet kitchen with granite counter tops. Two master suites. Pampered property with a designerseyeforcolor,texture,eleganceandcomfort. $529,000. Offer good until 4/30/16. Not valid with any other offer, coupon or with emergency service. Valid Monday-Friday. Your loved one will never leave our care and you will receive the highest levels of service. he Cottonwood Heights Police Department (CHPD) is no stranger to scrutiny. “If you ever raise your hand to a woman, I’m going to come after you. If you hurt a child, I’m going to come after you. And if you drive drunk or impaired, I’m coming after you,” Russo said. Cottonwood H eightsJournal .com and residents engage. Accomplishments are a team effort.” He is proud of resident efforts, specifically in the formation of the Canyons School District, which he claims was critical for the new city. “Prior to the split from Jordan School District, there were two closed elementary schools and one middle school.” The district had also made a statement saying they were closing more schools. “Cottonwood Heights was in trouble. There were dilapidated schools and the community was falling into disrepair.” After Canyons School District was created, the city became home to new middle and elementary schools. Cullimore experienced a “new life in Cottonwood Heights, without an increase in taxes, and the west experienced no harm from the split.” The “relationship with Canyons School District for the city is significant,” he said. Cottonwood Heights has a sense of place and community unity. The mayor is proud of the many events Cottonwood Heights hosts, including Butlerville Days. He is also very proud of the awards the city has acquired, and he values the partnerships the city has, specifically with the Cottonwood Heights Recreation Center. From outside of the city, he hopes that people see Cottonwood Heights as a desirable place to live. We have a “progressive community where socioeconomics is the perception, which may not always be the truth,” he said. Residents living or working within the city seem to be proud to be from Cottonwood Heights. They are good listeners and have easy access to government officials. If he could change things within the city, he would make the decision to change the snowplowing. “The company proved to not exercise the way they had hoped. While they have improved and shown an adequate job this year, it may have been better to continue with the financial burden of staying with the county.” He sees the future of Cottonwood Heights “continuing to be a sustainable community of envy with high service and reasonable costs.” It will continue to be a great place to live. with this issue before their homes are listed, a free report has been compiled which explains the issues involved. To order a FREE Special Report, visit www.UtahHomeInspectionTraps.com or to hear a brief recorded message about how to order your FREE copy of this report call toll-free 1-800-516-8922 and enter 4003. You can call any time, 24 hours a day, 7 days a week. Get your FREE special report NOW to learn how to ensure a home inspection doesn’t cost you the sale of your home. Sell Your Home, Get Superior Service, Save Thousands!! T Local Brokers/Owners Our customers come to us to save money… They come back for our service! Including Multiple Listing Service! If your home is currently listed, this is not a solicitation. here are some new faces this year at Butler Elementary School. Students will see them walking the halls, playing at recess and sitting with them at lunch. Sometimes they might work with them in class, or notice them helping their teacher. Thanks to a new chapter of WATCH D.O.G.S (Dads of Great Students), dads, grandfathers, uncles and father figures are volunteering at Butler Elementary. “Top Dog” and Butler Elementary WATCH D.O.G.S. coordinator Russ Lightel is excited about the response from students so far. “It’s pretty amazing — the kids get so excited. My first day I must have given thousands of high-fives; my arm was sore when I got home,” Lightel said. WATCH D.O.G.S is a national program founded in 1998 by two dads at their local Arkansas school. The program now exists in over 5,000 schools, with each chapter sharing the same two goals: to provide positive male role models for students and to provide extra eyes and ears to prevent bullying. “Our volunteers will spend the whole day at school, providing the school with thousands of hours of help that the school doesn’t have to pay for,” Lightel said. WATCH D.O.G.S. begin the day by welcoming parents and students to the school, helping with crosswalk duties and running errands around the school. During the day they help teachers in their classrooms, or walk the perimeter and halls of the school to make sure kids are safe and where they need to be. But according to Lightel, the most important part of their job involves “just going to recess and playing ball, starting conversations with their kids in the lunchroom and meeting their friends and acting as a mediator for kids not getting along.” While Lightel’s children attend Butler Elementary School, he admits he volunteers for more than just the benefit of helping his own children. Some rules apply. Mention Journal Code CJ3 Schedule Appointment by 4/30/16 for offers. Students perform musical numbers in Chinese during the Ridgecrest Chinese New Year celebration. SUNDAY, MAY 1, 2016 • 1:00 - 5:00 P.M. Please join us for an afternoon of wonderful art, music, and light buffet. righton High School’s theater department used a series of special effects in their performance of “The Giver.” The play, which ran through the end of February, is based on the best-selling book by Lois Lowry. “It’s sophisticated enough for high school students to get behind but it’s also understandable,” said Mindy Curtis, the drama teacher at Brighton High and the director of the play. “Most people have read the book.” “The Giver” tells the story of Jonas, a young boy who lives in a dystopian community who is chosen to be the Receiver of all of the memories of the past world. The community has removed all forms of emotion and is obsessed with sameness and following the rules. This has led to the entire community unable to see in color. As Jonas receives more and more memories from the Giver, he sees more color and realizes the problems with his community. Curtis explained the most difficult part of the production was figuring out the special effects. She wanted them to be simple but effective. These effects include special color lighting that becomes more intense as Jonas progresses through the story and the use of a thin backdrop and backlight to convey the memories being given. “That’s the magic of the show,” Curtis said. “It’s not just face value.” Jack Koncar is a senior at Brighton and was the head tech for the production. He designed the set and the lighting. Koncar explained he was in Idaho over the summer and saw some crazy shelving at a house and he knew he wanted to incorporate it into a production. “I wanted to give the set color as the play gives the characters colors,” Koncar said. parents struggling with behavior issues at home, such as teaching children how to develop “replacement behaviors” for arguing or aggression. Though Genaux’s classes are specifically geared toward parents and educators, Marsden emphasizes that the classes are open to the public, and offer beneficial advice for anyone interacting with a child on the spectrum. “Chances are that most people will interact with a child on the spectrum at some point, so to have a basic understanding is important for anyone who regularly works with kids,” Marsden said. Marsden believes the class not only helps people understand autistic children, but it also helps eliminate stereotypes regarding autism spectrum disorders. “People sometimes fail to realize that the spectrum is wide, and that the best practice is to focus on the individual and what strategies work for that person,” she said. For people unfamiliar with autism spectrum disorders such as high-functioning autism or Asperger’s syndrome, Marsden notes that many people rely on depictions from popular media to color their perception of how autism presents itself. (Minimum of 100) Must present coupon. Expires 4/30/16. QUALIT Y PRINTS Please mention this ad. Must present coupon. Expires 4/30/16. ondering what makes a debate team great? According to Brighton High School debate coach Jim Hodges, sometimes it comes down to being “just that good.” But beyond raw talent, Hodges also believes his team’s recent success at the Utah Region tournament last February stems from “a deep commitment to the team that I really like. We have a really devoted team, they genuinely like what they do, so they follow through, work hard and practice until they get it right.” The Brighton team came in third overall at region, with student Christopher Whimpey coming in first place in congress, Felicia Carter taking first in extemp, Stephanie Tripow earning first in oratory and Ben Hardy winning third place in congress. Hodges notes that the students carefully developed specialized skills for each category, ensuring each one competed well in their given field. “Our team is lucky because we have a group of students with a well-rounded menagerie of interests, so everyone can find an area of competition to excel in,” Hodges said. For Whimpey, that area is the student congress, where students become mock senators and congress people. During the competition, each debater writes legislation and tries to pass their laws in a session of congress. The event requires competitors to not only write well, but also to develop excellent public speaking skills. According to Hodges, Whimpey is a “natural.” “Even though Chris is a relative newcomer to debate, he’s very well spoken, with great oratory skills. He’s bright and smart on his feet,” Hodges said. Carter’s first place win in “extemp,” or extemporaneous speaking, stems from life experience. The Brighton High Debate Team prepares to leave for the region tournament. Includes kitchen, living room, dining room, entry, hallway and stairs, one bedroom and one bathroom. Valid for new customers on Initial Service only. Certain restrictions apply. Offer expires 6/30/16. At the conference, you will gain knowledge and skills from experts such as Devin Thorpe, Dan Baird, Eli Regalado, and Todd Crosland. 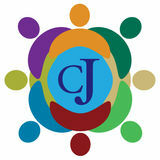 Learn everything crowdfunding at Utah’s largest and most comprehensive crowdfunding conference ever. Join the movement. For more information or to register for the event go to http://www.utahcrowdfundingconference.com When: April 28, 2016 Time: 8:30 am – 5:30 pm Event location: Karen Gail Miller Conference Center Salt Lake Community College – Larry H. Miller Campus 9750 South 300 West Sandy, Utah 84070 Questions? Please contact bryce.hansen@slcc.edu. THE REVOLUTIONARY PATENTED SCIENCE BEHIND VASPER SYSTEMS SYNCHRONIZES SCIENTIFIC PRINCIPLES OR CORE COOLING, COMPRESSION, AND GROUNDING TO MAXIMIZE THE BENEFITS OF YOUR WORKOUT SESSION. Members of the Bengals varsity team line up for a hitting drill during a Monday practice. The team is working hard to improve their batting average in the 2016 season. Buying or selling a home? LET ME HELP YOU! With hundreds of realtors advertising, it’s hard to know who to work with. Patrick Marleau, National Hockey League All-Star, Olympic Gold Medalist, and all-time points leader of the San Jose Sharks. VASPER SYSTEMS TECHNOLOGY Drive Personal Performance Center, 1941 E Murry-Holladay Road, Holladay, UT 84117. Why not choose an agent with a proven track record who enjoys helping you? I believe that selling Real Estate is not just selling properties, it’s treating people with honesty, loyalty and excellent service. www.CityJournalDeals.com After every game, players from both teams join in the middle of the pitch and take a bow to the spectators on either side. This tradition is unique to Utah high school rugby. hile there is a lot information available on what we should do to have healthy teeth and gums, one of the most important things is to go to the dentist. For many people, fear is why they avoid dental appointments. That is why it is so important to find a dentist who works to alleviate anxiety in their patients. Finding the right dentist can be a challenge, but your search will be over with Holladay Family and Implant Dentistry. Dr. Jesse Greaves has been practicing in Holladay for almost 20 years and is excited to welcome another qualified dentist to his practice. Dr. Mark Cannon is thrilled at the opportunity, and would like to introduce himself below. My name is Mark Cannon and I am excited to be joining Dr. Greaves at Holladay Family and Implant Dentistry. We live in the same neighborhood and know a lot of the same people. After 13 years away with school and practicing dentistry, I am back where I grew up. I attended Skyline High School and the University of Utah. I married Debra Losee who went to Olympus High School. She has been amazing to go on this wild journey with me as we are raising four wonderful children. I am a sports and outdoor enthusiast. I enjoy most sports, especially football and golf. Growing up with scouting helped propel my love for the outdoors. Our family enjoys camping, hiking and exploring Utah. We also love to travel. Living in Philadelphia, Colorado and Kentucky has given us amazing opportunities to see much of the United States. Now that we are back in Utah, we have discovered many new trails and areas we look forward to exploring. I hope to hear about your experiences in the great outdoors too. Our family is very excited to start this new adventure and be a part of this community. I look forward to meeting all of our patients. I also want to invite anyone needing a dentist to visit our office, even if you just need a second opinion. I’m thankful to Dr. Jesse Greaves for this opportunity to join his amazing practice. Not valide with other offers. Expires 4/30/16. in in the th w e s int um er me r! HUGE SPRING SAVINGS on all new windows! esert Star Playhouse, the theater that’s built a reputation for producing laugh out loud, family-friendly musical comedies, continues its 2016 season with the comedic whodunit. “Murder on the FrontRunner Express: A Clue-less Pyramid Scheme!” This hilarious spin on murder-mystery and Utah county health product startups is a laugh for the whole family. The show opened March 24 at Desert Star Playhouse. The new St. George to Salt Lake leg of the FrontRunner Express is on its first trip north, and the governor has pulled out all the stops to make this a flawless trip by hiring the best train inspector in the world, Inspector Jacques Clueless. Little does the inspector know, with recent legislation changes, the unpopular governor has a target on his back. And when the train’s crew starts turning up dead, all passengers become suspects. Could the killer be the rich widow Madame Beehive, the social media darling Kimye, the disenfranchised millennial Jared Jr. or the beautiful tech savvy Lucy Jones? Find out in this hilarious ride of a comedy! Written by Ed Farnsworth and directed by Scott Holman, “Murder on the FrontRunner Express” runs March 24 through June 4. The evening also includes another of Desert Star’s signature musical olios following the show. The Don’t Touch that Remote Contr-Olio will feature some of your favorite TV theme songs, with a unique and always hilarious, Desert Star twist. Desert Star audiences can enjoy gourmet pizza, fresh wraps, burgers, scrumptious desserts, and other finger foods as well as a full selection of soft drinks and smoothies while they watch the show. Food is available from an á la carte menu and is served right at your table. NO INTEREST FOR 60 MONTHS! Plays March 24 - June 4, 2016 Mon., Wed., Thurs. and Fri. at 7 p.m. Sat. at 2:30 p.m., 6 p.m. and 8:30 p.m.
business complex is that of, ‘Give me a little fun in my lunch hour,’” he said. “People have been in their work environment all morning long and want something different than they have had all morning long.” Knickerbockers Deli opened in November of 2012 and has relied mainly on word-of-mouth for its growth and success, which includes opening a second location in the Research Park area near the University of Utah. “I have a great staff that makes this restaurant extremely well run and fun to own,” Furse said. “I love the fact that I have 14 employees between the two locations. They have families and many are breadwinners in the group. I love the fact that my business helps put food on their tables and pay the bills.” First-time visitors to Knickerbockers Deli may initially think it is weird to walk into an office building to get lunch, according to Furse. However, there is plenty of parking easily accessible to the deli. “I think people will be blown away by the beautiful patio and indoor seating we offer,” he said. The restaurant also offers online ordering, delivery and call-ahead ordering. Visit www. knickerbockersdeli.com for more information. isneyland: it’s Utah’s favorite theme park. With the exception of California, it’s estimated that more people from Utah visit Disneyland per capita than from any other state, but it’s expensive. Setting the whopping cost of admission aside, it’s not uncommon to see folks spending a king’s fortune on food and merchandise. Disney is a magical place for the kiddos, but the real magic for adults is figuring out how to pay a visit without breaking the bank. It’s been a while since I visited Disneyland, so I turned to some of the frugal moms that write for Coupons4Utah.com and travel expert Krista Mayne from Wasatch Travel for some money-saving advice to help you save on your next Disney trip. Here are their tips and tricks for saving money at the most magical place on earth. #1 — Check with a travel agent before booking. When you purchase a package, many airlines offer bulk airfare discounts when combined with either a hotel or car or both. Travel agents have access to these for you. Going off-season and staying in an off-property resort can yield the highest savings. #2 — Check for group rates. Disney offers various discounts for military members, college students, credit union members, corporate and government groups, teachers and youth groups. #3 — We find the three-day hopper pass to be the best ticket value, as it allows you one early entrance into one park. For 4 People for ONLY $60! Open 7 Days A Week: 10 a.m. - 10 p.m.
Limit 1 per customer. Tax not included. Expires 4/30/16. ’m pretty sure my hair dryer tried to kill me. Its cord wrapped around a drawer handle, pulling the dryer out of my hand where it crashed into my shoulder and hip before smashing onto my foot. It’s not the first time I’ve been attacked by a machine. 23 Years Experience  Spring Yard Clean-up  Mowing  Trimming  Edging Aeration & Power Raking  Sprinkler Repair. #1 IN UTAH, #1 IN AMERICA, 39 LOCATIONS TO SERVE YOU! On purchases with your Ashley Advantage™ credit card made between 4/12/2016 to 5/9/2016. Equal monthly payments required for 4 years. Ashley HomeStore does not require a down payment, however, sales tax and delivery charges are due at time of purchase. See below for details. *Offer applies only to single-receipt qualifying purchases. Ashley HomeStore does not require a down payment, however, sales tax and delivery charges are due at time of purchase if the purchase is made with your Ashley Advantage™ Credit Card. No interest will be charged on promo purchase and equal monthly payments are required equal to initial promo purchase amount divided equally by the number of months in promo period until promo is paid in full. The equal monthly payment will be rounded to the next highest whole dollar and may be higher than the minimum payment that would be required if the purchase was a non-promotional purchase. Regular account terms apply to non-promotional purchases. For new accounts: Purchase APR is 29.99%; Minimum Interest Charge is $2. Existing cardholders should see their credit card agreement for their applicable terms. Promotional purchases of merchandise will be charged to account when merchandise is delivered. Subject to credit approval. ‡Monthly payment shown is equal to the purchase price, excluding taxes and delivery, divided by the number of months in the promo period, rounded to the next highest whole dollar, and only applies to the selected financing option shown. If you make your payments by the due date each month, the monthly payment shown should allow you to pay off this purchase within the promo period if this balance is the only balance on your account during the promo period. If you have other balances on your account, this monthly payment will be added to the minimum payment applicable to those balances. §Subject to credit approval. Minimum monthly payments required. See store for details. ‡‡Previous purchases excluded. Cannot be combined with any other promotion or discount. Discount offers exclude Tempur-Pedic®, Stearns & Foster®, Sealy Optimum™ and Sealy Posturepedic Hybrid™ mattress sets, floor models, clearance items, sales tax, furniture protection plans, warranty, delivery fee, Manager’s Special pricing, Advertised Special pricing, and 14 Piece Packages and cannot be combined with financing specials. Effective 12/30/15, all mattress and box springs are subject to an $11 per unit CA recycling fee. SEE STORE FOR DETAILS. Stoneledge Furniture LLC. many times has multiple offers, promotions, discounts and financing specials occurring at the same time; these are allowed to only be used either/or and not both or combined with each other. Although every precaution is taken, errors in price an`d/or specification may occur in print. We reserve the right to correct any such errors. Picture may not represent item exactly as shown, advertised items may not be on display at all locations. Some restrictions may apply. Available only at participating locations. †DURABLEND® upholstery products feature a seating area made up of a combination of Polyurethane and/or PVC, Polycotton, and at least 17% Leather Shavings with a skillfully matched combination of Polycotton and Polyurethane and/or PVC everywhere else. **Leather Match upholstery features top-grain leather in the seating areas and skillfully matched vinyl everywhere else. Ashley HomeStores are independently owned and operated. ©2016 Ashley HomeStores, Ltd. Promotional Start Date: April 12, 2016. Expires: May 9, 2016.